Company Overview - Yueqing Originality Photography Equipment Co., Ltd.
12YRSYueqing Originality Photography Equipment Co., Ltd.
Yueqing Originality Photography Equipment Co., Ltd-china precise industry manufacturing base ,which is a large-scale comprehensive and professional photographic equipment manufacturer .it is well-know both at domestic and home .The available products includes professional studio flash lamps used in professional studios, camera tripods, flash lamps for outdoor use, ceiling rails, soft light boxes and accessories with more than 150 specifications and 5 main series. Our products have attained CE certification and 23 national patents.Our company has independent import and export rights and exports products to Europe, the USA, the Middle East and other countries and regions. Our products have been sold well in Wal-Mart in the USA.As a specialized manufacturer of photographic equipment, our company constantly expands the international market with high quality products and competitive prices and also makes great efforts to develop the product of new generation to meet photography friends' requests. 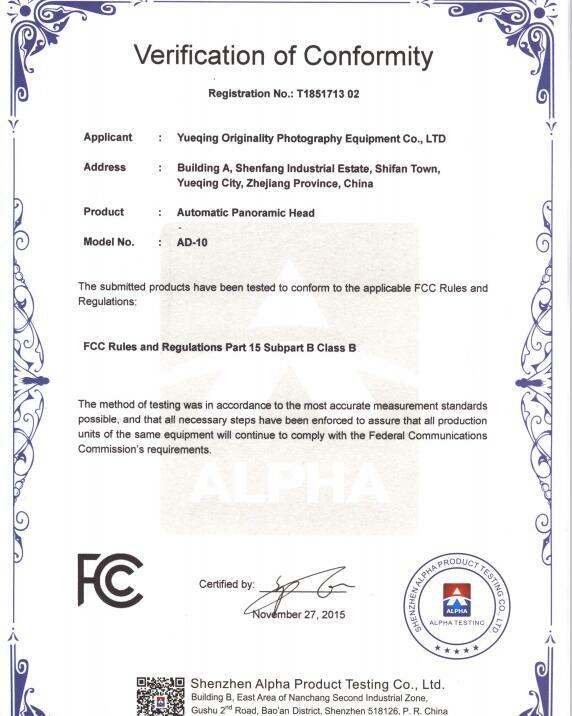 If you have any questions ,Please feel free to contact us for further information.Yueqing originality photographic equipment will be your best companion in photographic success and prosperity.